September is National Library Card Sign-Up Month. Your library card is a passport to all the wonderful things that the library can offer: entertainment, education, self-improvement, healthy activities, social opportunities and more. For every interest and every moment in your life, the library is there to help you along the way. My library card has been the single most important document in my life. It has opened worlds for me, and still does. 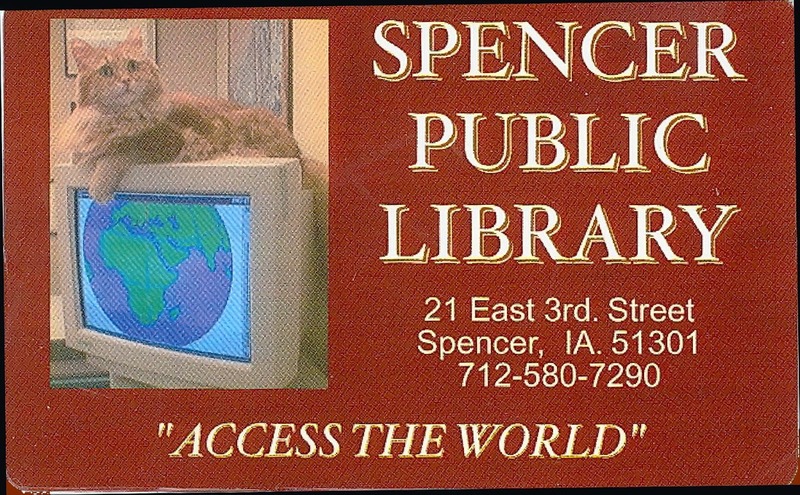 I remember my first library card, a piece of card stock with a metal tab. The “kachunk kachunk” sound of books being checked out will always be a fond memory for me. Whether it’s your first library card, or a replacement for your well-used one, come discover the worlds waiting for you at SPL. But the only way that libraries will survive and thrive is if you, as patrons, are vocal about how important the library is to you. Don’t just tell us, tell the city council, local politicians and state legislators what the library means to you. Help them see the value so we can financially keep doing what we do for you and the rest of the community. Be loud and be proud that you love SPL!